From the historic charm of Alexandria, to the beautiful brownstone embassies in Dupont Circle, Washington, D.C. has a diverse set of neighborhoods that carter to most any traveler’s expectations. Whether you’re looking to party, focused on museums, trying to impress a loved one, or bringing the whole family, the greater Washington, D.C. area has a neighborhood for you. This article will profile the best hotels and places to stay in Washington, D.C. as determined by local residents. 8 Best Hotels in D.C.
16 Best Places to Stay in D.C.
Best Places to Stay In Washington, D.C. Determining where to stay when visiting Washington, D.C. often comes down to what you expect from your vacation to D.C. Below we broken the best areas to stay in Washington, D.C. based on common trip criteria. Consider These Two Decisions. Deciding where to stay in Washington, D.C. for sightseeing and attractions comes down to making a few key decisions about what is most important to you when visiting Washington, D.C. If You Want Savings. If savings is most important than avoiding downtown hotels, and using the Metro to commute in and out of the National Mall can save a lot on hotels. Also keep in mind, finding the best places to stay for sightseeing in Washington, DC might mean staying closer to Mt. Vernon in Alexandria, or in Arlington, closer to the Arlington Cemetery. If finding a place to stay near Washington, D.C.’s main attractions is most important than keep in mind that on Friday and Saturday nights hotel rates drop by $50 to $75 as business travelers leave D.C. This makes staying near the National Mall and Smithsonian Museums more affordable. If Proximity to Attractions Is Important. Finding a place to stay near Washington, D.C. attractions that matter most to you can also play a factor. While most Smithsonian museums are located at the National Mall there are Smithsonian museums elsewhere like the National Zoo in Woodley Park, Portrait Gallery in downtown DC, and the Udvar Space Museum in Chantilly near Vienna, VA. This does not include other non-Smithsonian museums like the Newsmuseum, Spy museum, and Mt. Vernon outside Washington, D.C. The neighborhood near the L’Enfant Metro, south of the National Mall is best for families who want to prioritize the walking to the National Mall every day, or intellectuals reluctant for nightlife. The area is surrounded by massive government buildings and when five o’clock rolls past commuters travel home leaving the area bland and sterile. Sometimes this is welcomed for those who enjoy peaceful surroundings, but a burden for those who crave nearby restaurants and the thrill of locals heading out for nightlife. The Mall is at its busiest during the day, but it is regarded as safe to stick around to view the beauty of the monuments lit up after dark. Altogether this neighborhood won’t appeal to all, but is close by to downtown and DCA via Metro, plus 395 runs adjacent to the neighborhood making for easy highway access. Hotels near L’Enfant Metro. 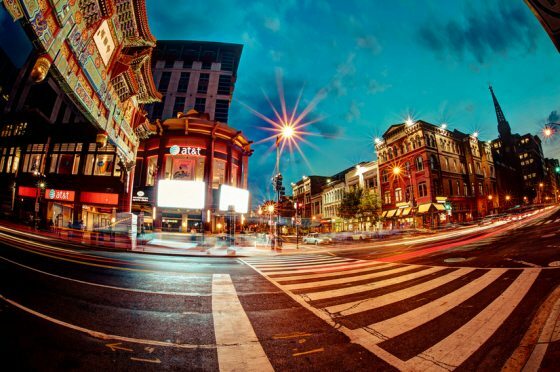 Chinatown is the pulse of downtown DC. The area is home to the National Portrait Smithsonian Museum, Spy Museum and home to many bars and restaurants that keep things happening at all times. It’s easy to walk to the National Mall from here. Visitors not interested in a noisy, rowdy neighborhood should look elsewhere. Visitors will notice a higher amount of panhandling in Chinatown and should be cautious in the area at night. Chinatown is the home of the Verizon Center which hosts the Washington Capitals, Wizards, and Mystic. The Verizon Center also hosts major concerts and a variety of other entertainment options throughout the year. 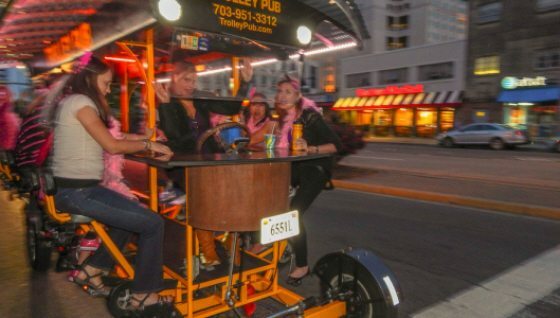 This area boasts a wide variety of dining options and nightlife. While there aren’t as many Chinese restaurants as you might expect, visit China Boy for a no-frills but authentic and budget-friendly experience. Hotels near Chinatown Metro. Parents typically prioritize a safe neighborhood, a hotel with a pool, and suite rooms when researching where to stay in Washington, D.C. with kids. 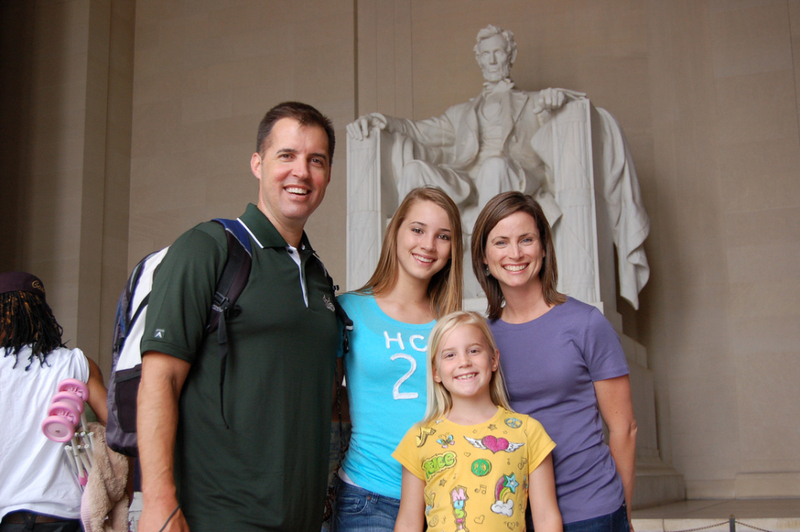 The Capitol Holiday Inn 3 blocks from the National mall has a rooftop pool is our top choice for a place to stay in Washington, D.C. for families. Below is an overview of our suggested neighborhoods in the greater Washington, D.C. area that will appeal to families. Woodley Park can be an expensive area to stay in, but is a great option for families who are looking to spend some time at the Zoo, or for visitors looking to party with the locals. Woodley Park is an affluent neighborhood in northwest DC on the red line. North of Dupont Circle, Woodley Park is home to families and young professionals in a mix of apartment buildings and single-family homes. While Woodley Park is generally quite safe, Adams Morgan, the adjacent neighborhood across the Duke Ellington Bridge does attract rowdy crowds on weekends—you can except fights even with a heavy police presence, this is the most intense bar scene in DC. The main attraction at Woodley Park is the National Zoo, part of the Smithsonian Institution. Free and open every day except Dec. 25, the Zoo is a favorite for young and old alike. Woodley Park also has easy access to the trails in Rock Creek Park. Hotels near Woodley Park Metro. The Branch Ave. Metro station is in a suburban setting particularly good for families on a budget who are looking for a base to launch their vacation. Hotel prices here are routinely lower than most other areas in Washington, DC. The location won’t excite or distress, but that is okay for most travelers who just need a reliable hotel for sleeping and breakfast. A suburban area that is home to quite a few government buildings, most travelers will feel safe if they chose to walk the short distance from the hotels to the Metro. There is parking available at the Metro for over $5 per day. Hotels near Branch Ave. Metro. Couples or groups trying to determine where to stay in Washington, D.C. for nightlife will want a mix access to restaurants and bars, as well as relatively short commute to day time tourist spots. One of the best places to stay in Washington, D.C. for nightlife is Dupont Circle. 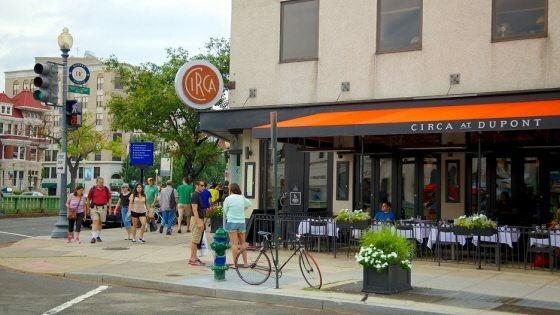 Dupont Cirlce is located in the urban residential neighborhoods north of downtown D.C. As for nightlife the area is home to the DC Improv, dive bars (try the Big Hunt), dance clubs (Eighteenth Street Lounge is a local favorite), and many restaurants. Hotels near Chinatown which is in the heart of downtown DC near the Version Center will offer up plenty of bars and restaurants with a short walk to the National Mall. Clarendon is well suited for 20 somethings who want the just out of college nightlife and, finally Adam’s Morgan has a high concentration of bars within a 5-6 block stretch that gets very rowdy on Friday and Saturday nights. The Clarendon and Courthouse metro stations form the heart of bustling Arlington. A little less than a mile separates these two stations, but the area is a vibrant, urban center, and the section of Arlington that has the most to offer visitors. Full of luxury high-rises and single-family homes, Clarendon/Courthouse is home to affluent families and young professionals. hoppers will enjoy the mix of major retailers, like Ann Taylor and Pottery Barn, and independent shops, like South Moon Under, a local clothing boutique. Though the area can get a bit rowdy on weekend nights, this neighborhood is safe and welcoming. Hotels near Clarendon / Courthouse Metro. Dupont Circle is a trendy, urban area in the heart of DC. It is perfect for a romantic getaway to Washington, DC. Close to downtown and to the major tourist destinations, this neighborhood is a mix of many things—high rise buildings and massive row homes, young professionals and seasoned diplomats, local boutiques and national chains. A bustling area full of embassies and wealthy residents, this area is comfortable and regarded as safe by nearly all travelers. As for things to do at night the area is home to the DC Improv, dive bars (try the Big Hunt), dance clubs (Eighteenth Street Lounge is a local favorite), and many restaurants. 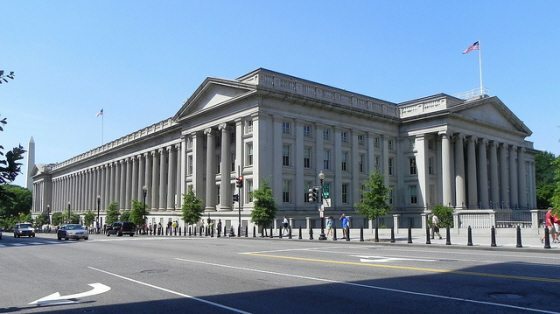 Give Dupont Circle consideration if you are coming to Washington, DC, but be prepared to pay dearly for parking, and extra on hotels.Hotels near Dupont Cirlce Metro. Kate and I have evaluated over 200 hotels in order to build this list of the top 8. We looked at criteria such as affordability for the average tourist, proximity to the Metro, and the quality of the nearby neighborhood. Below are the best hotels in Washington, D.C. in 2019. #1 Courtyard Marriot, at Dunn-Loring Why People Like It. The most popular hotel on this website is the Courtyard Marriot at the Dunn Loring Metro. It is well liked because of its easy access off I-495 and I-66 near Tyson’s corner. The Courtyard Marriott has secure free underground parking and is a short walk to the Metro. The hotel doesn’t have a free breakfast, but it does offer free wifi, a gym, and pool. Online reviews are rarely negative and many reviews appreciated several casual dining options within walking distance to the hotel. #2 Americana, at Crystal City Why People Like It. Affordability is the main selling point. The Americana offers guests several freebies like free parking, grab and go breakfast, and free wifi. For those who think it’s too good to be true, make sure you set a modest expectation. There is no gym at this hotel, or restaurant. More often than not online reviews are positive, but people frequently comment about the dated look. Regardless, this hotel is priced nearly $100 less than all other nearby alternatives near the airport. There is a free shuttle to the airport, and guests will have an easy time taking the Metro into downtown or the National Mall. #3 Capitol Holiday Inn, at Lenfant Why People Like It. This is the ideal hotel for families who want to spend almost all of their time in D.C. at the National Mall seeing museums and monuments. The hotel location is within walking distance to the Air and Space Museum. This is not an ideal hotel for business travelers or couples because there are no restaurants or nightlife attractions nearby. Families will appreciate the rooftop pool, and free meals for kids. As of March 2016 the hotel has been renovated. One nagging complaint was that the hotel backs up to the train tracks and this does cause noise. Ask for a hotel room away from the tracks. #4 Holiday Inn, Rosslyn Why People Like It. The Key Bridge Holiday Inn in Rosslyn is one of the best locations for a variety of travelers. Walk across the bridge to Georgetown, or catch the Metro and be downtown and at the National Mall in under 15 minutes. The hotel is located right off I-66. The express bus stop to Dulles airport is nearby. This hotel is at the nexus of every DC bike / jogging trail. Recent reviews point out that the hotel is not suited for travelers seeking luxury accommodations. Some travelers liked the balconies that overlook Washington, D.C. Beware this hotel is right under DCA’s flight path, but we didn’t see too many negative remarks about airplane noise. #5 Courtyard Marriot, New Carrollton Why People Like It. This hotel offers convenient access not only to the Metro but MARC train for getting to BWI. This makes it one of the best hotels in D.C. for getting to BWI. Fedex field is also close by. There is free parking, free wifi, along with a modest gym and indoor pool. All Courtyards include a restaurant called The Bistro which serves breakfast, lunch and dinner (breakfast usually not included with booking). The hotel setting is a suburban office park and guests pointed out there isn’t much within walking distance. #6 Holiday Inn, Huntington-Eisenhower Why People Like It. This is one of the most affordable hotels in Alexandria that offers free parking. The hotel sits at the tail end of Alexandria near I-495 and is a across the street from the Metro. The surrounding neighborhood is made up of office buildings, apartments, a movie theater and a few casual restaurants. For these reasons this is one of the best all around hotels in the greater Washington, D.C. area. #7 Comfort Inn, Shady Grove Why People Like It. It is routine for this Comfort Inn to pick up positive reviews from its guests. This is one of the best hotels for affordable lodging in the suburbs of Maryland. Free parking, breakfast and wifi are offered in addition to a shuttle that will take guests to and from the Metro station. The hotel sits on the last stop of the Metro’s red line and getting in and out of D.C. will take 45 minutes. The location is also ideal from people who want to commute into Bethesda and save on their hotel. #8 Pod Hotel, Chinatown Why People Like It. The premise of Pod is that you get the essentials. The hotel doesn’t have a gym, pool, or free breakfast, nor does it offer parking. What you get is a basic room, and being a new hotel those rooms, while Spartan, are up to date. The hotel also boasts a rooftop bar, coffee bar, restaurant and whiskey bar. Pod is often be the best places to stay in downtown Washington, D.C. If you are looking for a hotel in the Washington, D.C. area that is best for a romantic getaway than we like the Le Meridian at Rosslyn, or the Embassy Row hotel in Dupont Circle, and the Capitol Hill Hotel near the Near the National Mall for one of the best locations for sightseeing and culture in D.C. Embassy Row has an excellent roof top pool, and the neighborhood is filled with fun bars alongside an assortment of options for restaurants. This is a boutique hotel. Rosslyn hotels often have views overlooking Washington, D.C. If you have ever watched House of Cards on Netflix the opening credits utilizes many of the view from Rosslyn in Arlington, VA. For these reasons we think either Dupont Circle or Rosslyn are your top places to stay for a romantic getaway to Washington, D.C.
Narrowing down where to stay in Washington, D.C. on a budget is made a lot easier via the Metro. Since there area over 100 hotels within walking distance to the Metro often the best places to stay on a budget are located just outside the city limits within a 15 to 20 minute commute to downtown or the National Mall via the Metro subway. The table below is a list of reliable and adorable accommodations for lodging in Washington, D.C. that we recommend. Where to Stay in Washington, D.C. for Cyclists. If you love to bike DC loves you. There are over 75 miles of trail spanning in all directions and bikers often don’t have to navigation busy roads to enjoy the miles and miles of bike trails. Bikers who are comfortable riding between 10 to 15 miles per day can experience riding from their hotel to the National Mall. Stay in Bethesda and commute in via the Capital Cresent trail, or through Rock Creek Park. Stay in Ballston and take the Custis trail. Or, stay in Alexandria and ride in via the Mt. Vernon trail. Where Not to Stay in Washington, D.C.
Travelers sometimes remark feeling uncomfortable near these metro stations; NoMa station, Union Station, Navy Yard. Best Places to stay outside D.C. in Virginia. Best Places to stay outside D.C. in Maryland. Where to Stay in D.C. near Attractions? Answer:The best place to stay in Washington, D.C. for attractions like the National Mall and Smithsonian Museums is south of the National Mall near the L’Enfant or Federal Center Metro stations. Hotels in this area are closest to all the Museums. The second best area is near the Gallery Plaza Metro station in downtown D.C.
Where are the Best Lodging / Accommodations in Washington, D.C.? Answer:If you consider price and convenience to the major attractions most people will look for lodging in Arlington, VA just across the Potomac River. Tourist like finding accommodations here in the greater because often they can find an affordable place to park the car and will not have to transfer Metro lines in order to get to the National Mall. Where is the best place to stay in Washington, D.C. Without a Car? Answer:If you are coming to D.C. without a car than in most cases you are arriving by train or through one of the three major airports. In this case staying near the Metro is critical and there are over 100 hotels within walking distance to the Metro that are both inside D.C. and outside in Maryland and Virginia. Perhaps the best place to stay without a car if you are flying into Washington, D.C. is Crystal City. All the hotels in this are offer a shuttle to the airport and the Metro can have you into D.C. or the National Mall within 15 minutes. Q: Where Should I Stay In Washington, D.C.? Answer:Most people find that staying in Arlington, VA outside of Washington, D.C. is the best blend of quality surroundings and affordable hotels? Where Should Tourists Stay in Washington, D.C.? Answer:Tourist should look at staying near the Metro no more than 15 minutes outside of the National Mall or Downtown. There are a handful of Metro stations with hotels nearby that are outside D.C. and usually offer cheaper options than staying in Downtown. REASON ONE. There are no free parking options within a short walk to Smithsonian Museums and National Mall, nor is affordable parking available downtown. Therefore driving in to the city can be costly in both parking fees and the time seeking out convenient parking. REASON TWO. The Metro enables travelers to save hundreds of dollars on a hotel by finding places to stay outside of Washington, D.C. and commuting into downtown and the National Mall. Since there are over 100 hotels within walking distance to the Metro it is easy to find affordable accommodations around Washington, D.C.
REASON THREE. Washington, D.C. traffic is notoriously some of the worst in the country. The Metro alleviates the stress of navigating around D.C. during rush hour time when accidents most often occur. Rosslyn – Romantic Getaway, Hotels with Views, Close to D.C.
Ballston – Family, Access to Highways, Commute to D.C.